Cars On Line hosts ads for vehicles located all over the world. Certainly, most are located in the United States, but avid readers of our newsletter may have noted that more and more cars from Canada appear on our website every day. This, and other factors, make buying a car from Canada an extremely attractive option for collectors right now. 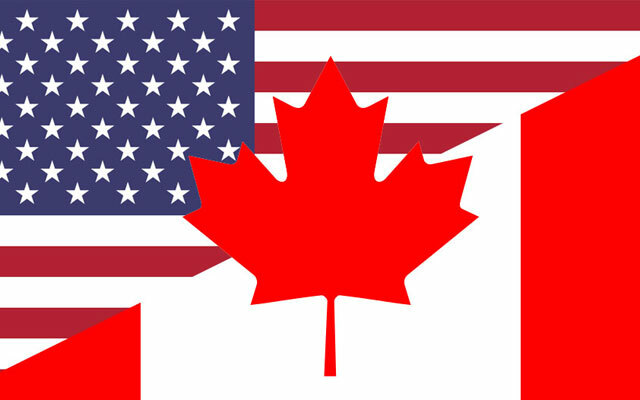 We’ve already discussed their more stringent documenting standards, but the relative value of the Canadian dollar also makes importing to the U.S. a solid investment choice. There’s a history of international car collecting that you can be a part of. Back in the 1980’s, Japan was in the midst of an economic boon and began importing U.S. collector cars, taking advantage of a favorable exchange rate to create a booming market. Today, the U.S. Dollar is recovering, and many of the cars that made their way to Canada during the recession are starting to make their way back. At the time we’re writing this, 1 U.S. Dollar equals 1.32 Canadian Dollars. 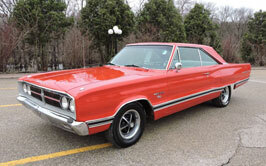 Therefore, the market is supporting the latest migration of collector cars from Canada to the U.S. So what do you do if you found the collector car you want and it’s currently located in Canada? There’s a few things to keep in mind that could make your import easier. The easiest way to get an imported car into the U.S. is to buy something that was originally from the U.S. If local manufacturers build the vehicle for sale originally in the U.S. then it’s likely the vehicle already meets any import regulations. Getting it back to the U.S. should be a breeze. First look at the date the car was made. You’ll have an easier time at the border if the car is more than 25 years old. These cars qualify as collector items and are usually exempt from import regulations. Luckily, that’s most of the cars you’re likely to find on Cars On Line! It’s important to note that the laws of your state may still apply though. Each state is responsible for policing their own policies, so be aware of your local laws and what it will take to get the vehicle into your state. Some states require all vehicles meet certain safety or environmental requirements. What do you do if the collector car you want is less than 25 years old though? There’s three other methods you’ll want to be aware of, and two of them are unlikely to be of use to you. First, you could bring the car under compliance with United States Safety standards. This involves running the vehicle through a gamut of expensive tests that will destroy one of many copies of the vehicle. You’ll then to have to shore up the areas it was found lacking. Adding supports, adjusting headlights and the like. This process can cost thousands or even hundreds of thousands. Some companies go through the trouble so they can be exclusive importers of certain vehicles though. The second method is by buying a Show and Display vehicle. The government maintains a list of what vehicles qualify as Show and Display cars, and a list of ones that don’t. If your car is on the first list, you’ll be able to bring the car into the country without a hassle. If it’s not, you’ll be back to square one. Most of the cars on the Show and Display list are exceedingly unique and expensive though. Getting a car onto this list is not easy. The third and most likely method you’ll want to investigate is the “substantially similar” clause. This regulation states that you can import freely any vehicle that is “substantially similar” to one that was once sold in the United States. All you have to do is request a letter from the vehicle’s manufacturer that states the vehicle you’re trying to import meets the conditions of this clause. Chances are, someone’s already attempted to import this car, and getting a letter won’t be that difficult. As noted earlier, cars that were originally manufactured and driven in the United States and later exported to Canada, will have an easy time gaining re-entry for this same reason. Don’t let a border check keep you from becoming an active member of the collector car community. Now’s the time to expand your horizons and open up a vast section of the market. CLICK HERE for more How to Buy a Classic Car Online installments! I guess I know one company in canada who are good at this service, you may contact https://clearit.ca/. You will definitely get your solution.